Taking pollsters and politicians by surprise, the Conservative party defied predictions of a hung parliament and won a stunning majority in Britain, taking Prime Minister David Cameron back into 10 Downing Street for another term in office and ending a brief period of coalition politics. As the final results came in, the Conservatives won 331 seats in the 650-member house, and the main opposition Labour 232. The centre-left Liberal Democrats, who supported Cameron in government since 2010, were all but wiped out, reduced to eight seats from 57. The face of British politics was altered as the Scottish National Party (SNP) won 56 of 59 seats in Scotland, mostly at the cost of Labour in what was called a ‘siesmic’ shift, finishing as the third largest party in the House of Commons. As far as India is concerned, it has much to gain from a Cameron victory. Unlike past governments, Cameron has been unapologetic about his admiration for India. In his visit here in 2010, he warned Pakistan against “exporting terror” and stated that Britain was just as keen as India to see groups like the LeT and Taliban being brought to book. This flew in the face of traditional British policy, which has been to make reassuring noises to Pakistan to appease their British constituents of Pakistani origin. 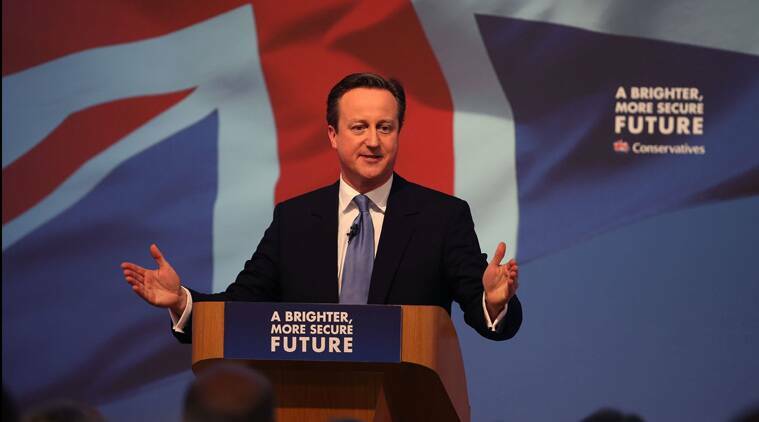 Cameron’s enthusiasm with India increased with PM Modi coming to power. On the sidelines of the G-20 summit last year, Cameron said that relations with India was his government’s top priority. In return, Modi was quick to laud Cameron’s victory. “Phir ek baar Cameron sarkar,” he tweeted. The tweet was in reference to Cameron’s use of Hindi to woo British-Indian voters in the polls.